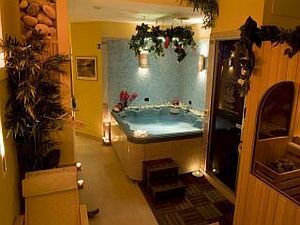 Located in the heart of Naples and just a short walking distance from some of the most important sight of the city, the Alloggio dei Vassalli is a Bed and Breakfast whith spa placed at the first floor of a XVIII contury historical building called Palazzo Donnalbina . It has 5 rooms, 4 double and 1 triple, easily adaptable on your request. The feature of this B&B is ceiling made up of antique wooden rafter cleaned and regenereated to recover their ancient splendor. The interiors reflecting the building architecture, have an old style floor and partition walls decorated with stucco work. The Alloggio dei Vassalli is ideally situated in attractive neighbourhood with shops, restaurants, entertainement and near to the central sightseeing areas such as : Plebiscito and Maschio Angioino square, San Domenico Maggiore and Piazza del Gesù and the Archeological Museum. In a few minutes, you can reach the metro lines 1 2, the railway station and the harbour to go to the islands. Suitable for who wants visit the city without car. 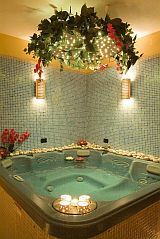 The Alloggio dei Vassalli, has a health center where you can relax yourself trought the sauna, the Turkish bath, the Jacuzzi and trought differents kind of massages. 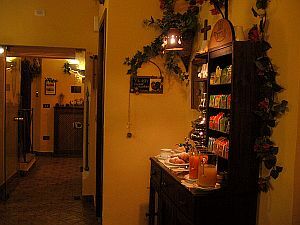 The guests have also the chance to drink a varieties of herb tea into the relaxing lounge. All this, it has been created to restore body and soul. The bedrooms are large and bright, newly andtastefully furnished, all provide with private bath (shower), personal computer, TV, stereo system, telephone and indipendent air conditioner with remote control. 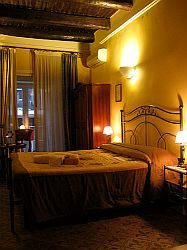 The feature of this B&B is the ceiling made up of antique wooden rafters cleaned and regenerated to recover their ancient splendour. 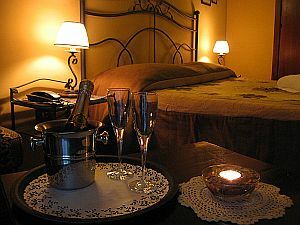 The B&B is situated in the historical centre of Naples near the harbour and so close to the main street of the town. The reservation has to be confirmed by Fax or by e-mail within 2 days in case the reservation is not confirmed , we will be able to consider it cancelled. The confirmation can be made by sending us your credit card details, including the expire date and the authorization to charge an advance payment of 30% of the total cost by credit transfer or postal transfer. the notice to leave the reservation must be sent to us in and not later than 8 days before the date of your arrive. Otherwise we would be authorized to hold the cost of one night passing by your credit card or in case of credit transfer or postal transfer to hold the total amount deposited as penalty. It is remembered that your arrive in the Hotel there should be within and not later than 7.00 pm, otherwise your reservation will be cancelled and consequently you must pay the penalty. Then, we don't have to pay the reimbursement for the lacked reservation. At the end we have to say that with the confirming of the reservation, sending to us by fax or e-mail, the conditions over explaining are accepted. Take a bus line R2 or 201, get off in Medina Street stop and reach Monteoliveto street walking. The B&B its situated in the immediate proximity (100 meters on the right). 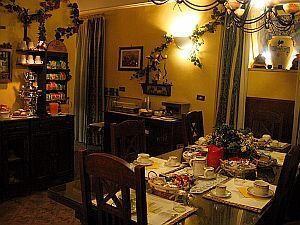 You can reach the B&B by Gran Turismo Alibus (cost of the ticket 3, 00 on the bus) that will bring you till Municipio Square. Then take the bus line R2 till to Medina street stop and reach walking Monteoliveto street. The B&B its situated in the immediate proximity (100 meters on the right). From the highway A1 (Roma Napoli), A3 (Salerno Napoli), A16 (Bari Napoli), take the Tangenziale and ending out to Capodimonte then drive along to Corso Amedeo di Savoia, S. Teresa degli Scalzi , E. Pessina street, Toledo street and continue till to Matteotti Square (Central Post Office), on the traffic lights go on the left to Monteoliveto street, then turn on the right on Vico Freddo a Donnalbina and still on the right to Donnalbina street.